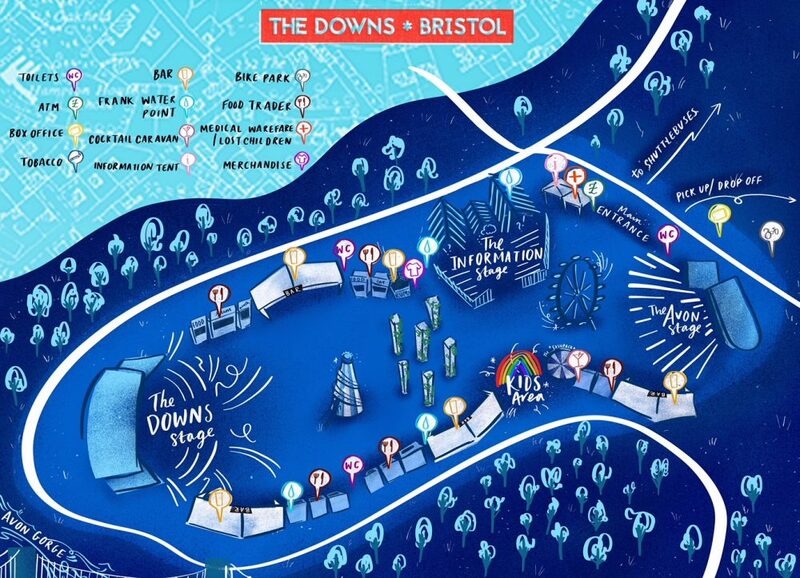 I was asked again in 2018 to design the site map for The Downs Bristol festival. To be printed large scale for use on boards on site as well as in programmes, lanyards and festival merchandise. A crew, artist, and accessibility version was also provided as part of the brief.